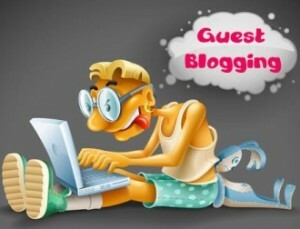 Mastering the art of establishing an effective guest blogging strategy may be very beneficial. Guest blogging is becoming increasingly popular and, when it is done properly, it is a very effective strategy to promote your brand. According to a survey by Technorati in 2011, 14% of bloggers are earning a full time income from blogging but they are mostly full-time professional bloggers who are hired by companies. However, the vast majority does not seem to get any payment for their efforts and they are blogging for personal reasons such as knowledge sharing, expressing opinions, getting more involved in their passions. Some are earning some money by means of some ad revenue or when they are invited to speak at a conference but for the majority, the need to share their passion is the main motivation to blog. What do you have to offer to the blogger? First check what you have to offer, so you know what type of blog you should approach to get your guest blog posts accepted. Ask yourself beforehand whether the blog post that you are providing is bringing an added value to the blog. Otherwise, you can better try another blog. Many bloggers have a negative attitude towards public relationship professionals as they usually have a commercial approach. Therefore it is important to be transparent, open and honest about your intentions right from the beginning. Ultimately the goal of the bloggers is to get as much readers as possible, so make sure you are helping them to achieve this. When you are helping the bloggers to obtain this goal, utimately the effectiveness of your guest blog posts will increase. Therefore, promote your guest blog posts on your social media accounts, on your own site and in other presentations. Subscribe yourself to their newsletter, social media accounts and retweet their best posts, involve them more with your blog, for example invite them for a video or audio interview. Read their blog so that you know what is appealing to his / her audience and make sure you send a personalized email that appeals to the blogger and so that it is not immediately ending up in the trash. A moment of contact through Facebook or Twitter will lay the foundations for a more informal way of contact than sending a message to the main e-mail address or by using the contact form. Write down the links to the best content you have published on your own blog. Write down the links to the best content you have published on other blogs. Write down the number of followers you have on your social media accounts and the number of subscribers of your newsletter. You can also demonstrate the involvement of the target group by showing how people are responding to your blog posts and how often they are sharing them. Note the number of visitors who are coming to your blog posts, where they come from and how long they stay on the site. When it is clear from the above notes that you have a lot to offer to a blog owner, then you can reach out to the bloggers who are leading the discussions and get your article where it will probably be accepted. If not, then you can better reach out to the less popular blogs to try your luck there first and start building your portfolio as a blogger. Do not deliver any ready made content but provide only short and concise information to the blogger that is very easy to handle. So you leave enough space for the blogger to give his own “twist” to it and to give it a personal touch. This prevents the blog post from becoming a sales pitch and the credibility of the blog can only benefit from it. Make sure you can deliver an interesting newsworthy or controversial story. Do research on possible existing published content which may be conflicting with your story. Formulate a catchy title and meta description. This will also help to give your article a better reach on the social media channels as it fits within the 140 characters of a Tweet so it can be shared easily. Optionally, you can supply several titles that are also useful for social sharing. Make sure that the backlinks are located in the beginning of the text so you can exert as much control as possible and to obtain the best SEO benefits. Do not add too many backlinks to the text. Limit it to a minimum and only link to authoritative content and sites. Ensure that the blogger is aware of the most important link that you want to preserve. Mention the links to the original resources. Do this also for the supplied visual material. Mention it clearly if Credits should be given when this material is used. Do keyword research using the Google Adword Keyword tool or an commercial keyword discovery tool so that you know the popular keywords in the niche, and may discover keywords that you did never even have thought to write about. Deliver images of sufficient quality in the form of video, pictures and perhaps an infographic (or graph / table) that makes it fairly simple to present the data in a visually attractive way. Provide links to additional sources of information. Use bullet points to list facts and important points. Whenever appropriate, supply a banner widget that can be used by the blogger to promote the blog post. In many cases, it is possible for the blogger to highlight your post on a prominent place of his site. Provide the blogger with a link to the general press release when there is one. On Wisestamp.com, you can create an attractive email signature that can bring an additional impact to the delivery of your content. Ask if you can read the article before it is published so that you may give some tips or make some corrections. Once your content is published, the support begins. Now it is important to work with the blogger to react sponteneously to the comments. So make sure that you can present enough facts to counter any critical comments and to substantiate your story. Let them know who you are working for but use your own name and not a impersonal brand name to react. Of course, you have to make prior arrangements about this with the blogger and possibly with your client, when you do this on his behalf. Until a few days after the publication of your post, it is important to promote it through your own (social media) channels in order to increase the reach. Invite people to post comments and to share the content with their network. Make sure you maintain the established relationship with the Blogger by having regular personal contacts. In this way, the blogger will retain a lasting positive attitude towards your brand. 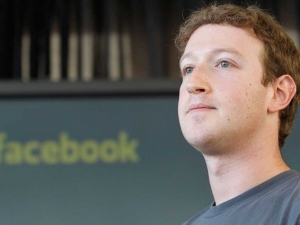 This will make it easier for you to bring newsworthy future developments to his attention. Bribing, to do or not to do? A blogger should not be bribed, but incentives such as videos, ebooks, infographics or sensational images, prices or an invitation to a particular event may be relevant and they can provide added value to the offer of your guest post. Other incentives may include: The option to get access to products which are still in the beta stage, discount coupon codes or contests that are made available to the readers of the blog. Brand Preference should not be expressed as this would affect the credibility of the blogger. However, an independent review can count on more sympathy and recognition than a promotional pep talk. It is also true that bloggers are required by law to disclose it when it is a sponsored post. This is regulated in the Dutch Consumer Protection Act, the Federal Trade Commission in the United States, the Consumer Protection Regulations in the United Kingdom and similar authorities in other countries. In addition to that, according to the Google rules, sponsored posts should be marked with a “nofollow” tag so that the search engines and the PageRank are not affected. Your web statistics can make it easy for you to find out where your visitors are coming from en whether your guest post is sending lots of visitors to your site, how long they linger an whether they are converting. If a guest blog is published on a popular blog, than it may happen that other bloggers pick it up as a form of inspiration and are also going to write an article about the subject and link to your article. This trickle down effect causes you to get more readers and more visitors to your site. How many of the addressed bloggers have actually written about your story? How many other news sites and bloggers have picked up the story afterwards? How big was the reach approximately? How many comments, likes and tweets did your content receive? How much traffic has this article brought to your site? How many conversions (newsletter opt-ins, leads, sales) has this traffic brought? How can you find interesting blogs to target? Alltop: Top blogs are listed here per niche. Pitchengine : creating and publishing pitches that are optimized for social media. Bitly: Lets you shrink URLs and provide them with a keyword. Also you can also view in the statistics how often is clicked. Do not use Bit.ly for affiliate links as they will be removed and you will therefore receive no affiliate income when that happens. Google alerts : Email notificaties voor in te stellen keywords die gepubliceerd worden op het web. Gebruik “keyword” voor exact searches. AMEC Valid Metrics Framework : A framework and template for the set up of campaign measurements. Do you personally have any more tips or remarks? Let us know in the comment field below. 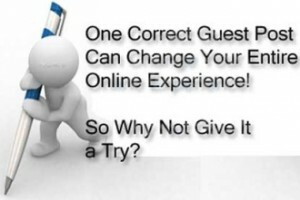 At GuestBloggingExpert.com, we know exactly how to approach potential blogs and what kind of content is appealing to the blogger, so that the chances to get a guest post accepted are the greatest. Find thousands of influencers & leads instantly in any country. Outreach to them at a fraction of the time and cost with the NinjaOutreach Software!